Taking Care of Your Baby Using Video Baby Monitors - Infinez | Your baby is the most precious being in your life. And since babies can’t still tend for themselves, it is your responsibility to give the love, care and security that they need. Sadly, even though they are your topmost priority, there are still other things in the priority list that need your attention. So how do you go on with your daily activities without sacrificing the quality of security, love, and care that you need to give your baby? You can use video baby monitors. Basically, baby monitors are devices that parents can use to be able to observe their baby even if they are not in the same room. The most simple baby monitors make use of a simplex transmitter and receiver system. In the baby’s room, a transmitter device with microphone is installed while the parents have a receiver device with a speaker. Any sound the baby makes in the room will be transmitted directly to the device held by the parents. If something is wrong, the parents will definitely know about it. But baby monitors have already come a long way. Today, different baby monitors have been developed which make use not only of sounds but of images as well. A great example of this is the video baby monitor. Video baby monitors make use of cameras instead of just the usual transmitter with microphone device. A camera or a number of cameras are installed in the baby’s room and live video feed are transmitted to a TV or LCD receiver. These video devices can either be wired or wireless devices. The most basic application of a wired video baby monitor is to provide live video feed from the room of the baby to the room of the parents. This is most useful during the sleeping hours of the parents. With the video baby monitor installed, you can continually monitor your baby without having to stand up and going to your baby in the next room. The wireless video baby monitor however has a larger scope of use. Since it is wireless, you can go anywhere around the house while bringing an LCD monitor to keep track of the status of your baby. You can be in the kitchen or in the garden and still be able to keep an eye over the baby since you are not limited with a wire. It is important to know though that these devices also have a limit to their range. Some video baby monitors have special features. This is mostly based on the manufacturer and provider of your baby monitor. One great feature of some video baby monitors is the night vision capability. During night time when the lights are already switched off, you can still continue the surveillance of your baby. Low lit environments and dark rooms is not a problem with the help of the night vision feature. Another special feature that some video baby monitor provides is the baby cam feature. With the use of the Internet, parents will be able to keep track of their baby. 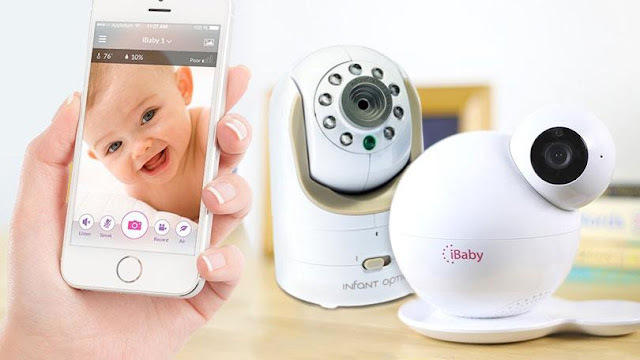 A few simple clicks on the computer and the baby cam can be accessed anywhere and anytime. 0 Response to "Taking Care of Your Baby Using Video Baby Monitors"